Since 2007 CFM contributes music to Hof Klang, which gives space for experimental and actual music. 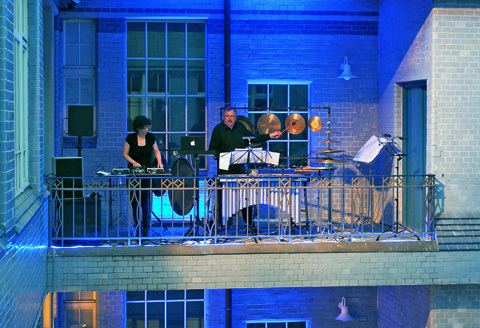 After an interpretation for contrabass and electronics with Tobias Lampelzammer, CFM composed the impro based piece Vibrancy in 2012, for metal percussion and electronics with percussionist Gerd Schenker. Followed by Disturblency for drums and electronic, Fluency for wooden percussion and electronics, Water Poem for percussion, water and electronics and Vibrancy II for metal percussion and electronics in 2017.